Nintendo has announced a partnership with Nickelodeon which will see a Teenage Mutant Ninja Turtle-themed Splatfest tournament take place in Splatoon 2 next month. For UK and European players, each of the Splatfest rounds will begin and end at 3pm/4pm respectively the following day. Are you up for a Splatfest tournament? Which turtle do you think will win? And most importantly, whose side will you be on? Let us know down below. That was....unexpected. Definitely most welcome idea though! Be honest, it's not that unexpected after the Transformers and Spongebob Splatfests. Although I dunno how popular it'll be with the new TMNT designs. @RupeeClock wow, you're right. The new art style is atrocious. Great marketing. Leads the way for Batman Vs Superman or Autobots Vs Decepticons or even Mario Vs Luigi! I'm... gonna have to make my decisions based off the 2003 series. Oh no, it's the new ones. I hate them all. If it was the previous CGI ones I'd have a hard time, as they made all the turtles entertaining, funny and having faults, even Leo. But this new series hasn't even started yet and it generates nothing but hate from fans. Haven't been caught on TMNT since the late 80's to early 90's cartoon show. I was always a Leo fan because of having katanas on each hand, pretty much slicing and dicing. I do welcome this idea but it must be rare to hold an event such as this one. Why do they keep making the Turtles designs uglier and uglier? Anyway, Leonardo was my favorite as a kid so I guess I'd go with him. I know they're mutated monsters, but I swear each cartoon generation gets uglier than the last. The correct answer is Raphael. I'm not a fan of these designs tbph. I guess this animation style is what works for the kids these days. Oh well, give me Leonardo. Turtle Power! Good idea, horrible designs Other than that, I'd say that I've been Team Leo since I was a kid, and nothing about that is changed! Haven't seen the Turtles in a while. Has Leo got a wasting disease or something...? These new designs aren't that good but oh well. Team Donnie or bust! Honestly this makes so much sense for a Splatfest. @Pip_Pipston Changing turtles up is not always a bad idea. Originally TMNT come from a very violent and dark comic series. But this time they seem to have missed the mark by a wide mile. Previous cartoon (2012 one) gave them distinct designs and gave all turtles hobbies (so it wouldn't be just down to Mikey to do "cool" stuff like watching cartoons, playing video games, reading comics or having a pet) and they made the turtles more interesting in many ways (e.g. Leo isn't the best fighter of the four at the start, losing to Raph, but he really wants to be "the hero" and has to earn the respect of his brothers; Donnie is not afraid to talk back at Raph when he's mocking his nerdiness and is infatuated with April etc.). It was a very entertaining show, if flawed by some filler episodes and slow metaplot pacing. Also it was clear that the show was made by long time TMNT fans, with references to previous iterations all over the place and some creative adaptations of old canon (e.g. benevolent Utrom race from the comics and villainous Krang from the old cartoon were merged into a race of alien invanders known as Kraang that shared aesthetics of the two, with their unique speech quirk). The new show, Rise of the TMNT seems to market itself on how different it is from everything before and not much else. It's not going to be the worst TMNT thing ever produced (there was stuff like the concert tour...), but hopes are down. Can I choose Master Splinter? I'll shoot emerald green ink because of his staff. CGI version, not this new kiddy crap! Also, can we have a Beebop vs Rocksteady splatfest?! Still haven’t played either of the Splatoon games. Want to get the new one. What is the community like? Lots of people online still? @Haywired The turtles are different species in this one. He's a red-eared slider. Raph is a snapping turtle (which is why he's so huge), Mikey a box turtle and Don a softshell (he's got a mecha shell to compensate). It throws away the idea that they're brothers, which is not fun. 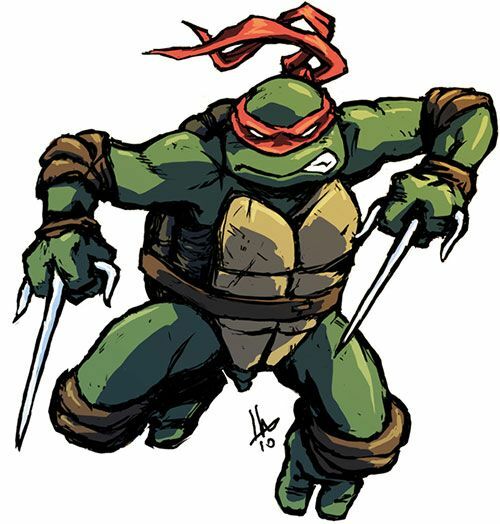 Also means Raph could be taking Slash's spot as the snapping turtle mutant. @Shiryu agree it is clearly Raphael that should win. Is it just me or do those designs look somewhat.... minimalistic? And not in a good way. You forgot to say April (O'Neil)'s fool! @Shiryu because whilst he is technically cool he’s also crude. Why is Raphael wielding tonfas instead of sais in this picture? @iLikeUrAttitude .....Except for 1987, which is actually the best version. What is the new art style!? This is hideous! This is like some 2009 Deviantart fanart! The old live action movies from the 1990s were more faithful to originals! Leonardo ( these new ones are horrible). I love the turtles, but absolutely hate what they're doing with the new ninja turtles. Raph is not a leader, he's too hotheaded! 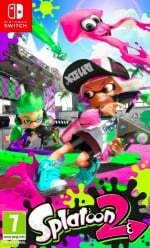 Oh but about Splatoon, that's awesome, can't wait to partake. @AlphaElite The best version is clearly the 80s anime OVA! 2012 TMNT is really good, and I grew up with the ones from the 80s/90s. These new ones... The design is not that good, but maybe they'll work for the show? A multiple-round Splatfest has always been the logical next step for Splatfests, and I’m actually surprised it’s taken this long for them to arrive. Always thought about a multiple-round Splatfest would be a thing in the first Splatoon game. Now I’m not saying this Splatfest theme is bad, but I prolly think they should have gone with something a little more Nintendo themed. Like “Nintendo Faceoff Series Round 1: Samus vs. Rosalina” (based on Nintendo blondes that like to do things on their own terms) or something like that. Hopefully Nintendo actually does something like that before Splatfests end. Donatello > Leonardo + Raphael > Michelangelo. Yeah Donatello is greater than Leo and Raph combined! 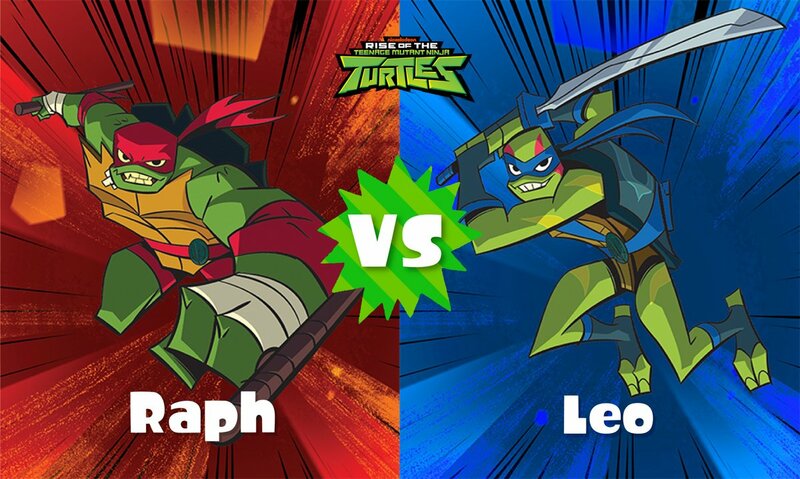 Can't decide who to support between Leo and Raph though. Also are we getting a new TMNT game announced for the Switch? The design isn't so bad to me, it's just different art style. Though I prefer the old ones. why are the turtles animated so badly? @DaLoneSheep Oh. I must have missed that one being a 35 year old father that works 50 hours a week and only have 30 mins to play a day. My bad. That is some... crappy art... geez. Is that how they look these days? Anyway, I don't really care too much for the Turtles, so, uh... I don't know what to pick. It's still a fun theme though even if I don't really care much for the Turtles myself, I just don't know how to go about this one is all. Looking out for my boy mikey! What the heck is up with those turtles? They look hideous! Ugh is that what they look like now? Time to go watch reruns of the old shows. Anyway Leo for the win. Wow, that animation does look like total garbage! The last version was the best looking IMO....even compared to the original. However, what a fun idea for a Splatfest. I'll go Leo and Donny in the first round, and Leo as the overall champ. 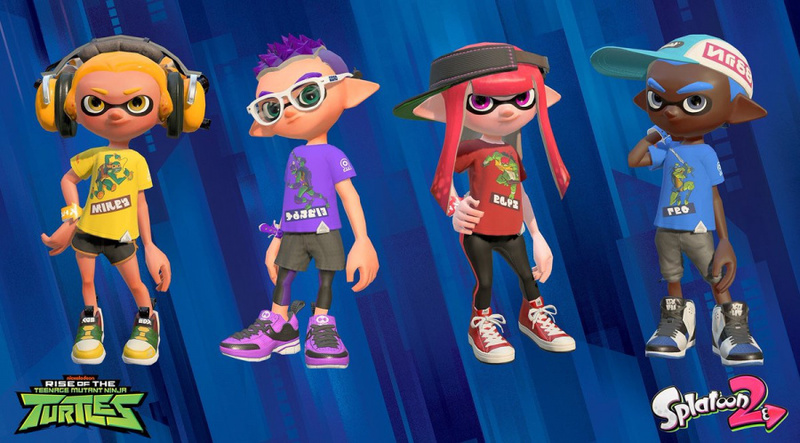 Even though the animation is poor, I wish Nintendo would let each player keep their shirts from each Splatfest. @BensonUii you're clearly wrong about the order 😁 but yea, the design isn't the worst thing in the world. The new Turtles actually look good in motion. I was initially put off by the 2012 designs (I also remember the same hate generated for those as the 2018 Turtles) but the story way more than made up for it, not to mention it was suberbly animated. I'm all for a reboot every few years or so if it keeps the TMNT relevant. I wonder whether they'll do something with Autobombs since they are very similar to Baxter Stockman's Mousers. @iLikeUrAttitude Nah, TMNT (2003) is definitely the best version for me. Great artstyle and it's the closest to the original comics. The 2012 show is my #2 though, despite the fact that I loved the 1987 show as a kid and it introduced me to the whole franchise. Not a fan of these new designs, but whatever. So, what's next? Rainbow Dash Vs. Fluttershy or something? Huh, that's surprising. I was put off by the idea itself, since I know about the flak the show is getting for it's design, and the trailer doesn't look too appealing. I'm willing to give it a shot, since I don't lose anything if I like something that initially seems bad, though I don't blame anyone for being put off. I hope it does well as a Turtles show. That aside, I do like the franchise and characters, (most familiar with the 2003 version, and need to get around to watching the 2012 iteration) and I REALLY love the format of this Splatfest, and I hope this "tournament" style comes back. I fully expect there to be a "which is the best Splatoon Idol" or something, with Callie vs Marie, Pearl vs Marina, and the winners facing off against each other. @Vee_Flames They've done this with Spongebob and the Transformers, so it's not too surprising, and the format easily sets aside any concerns I have about this as a whole (any issues with the show itself are on Nickelodeon's head). Though there was also the Pokemon Red vs Blue Splatfest. I'd for a new version of that to come out, but I can't think of a good fit for a similar theme. Interesting concept! Even if the answer is obviously Leonardo. Well, it's not like we'll need a My Little Pony Splatfest, to complement the previous game's TransFormers Splatfest. We need to see which Princess is best: Celestia or Luna, and Twilight or Cadence! 2k12 is the the best, though 1987 undeniably has the best games, and likely always will. Raph for this round, Mikey for round 2, and Mikey for the final! If there’s any sort of silver lining here, it’s that Nickelodeon might just be a gentle push away from making a Splatoon animated series. This is gonna cut into my Donkey King time... but I simply can’t ignore a Splatfest let alone 3?! While thebthumbnail had me reeling that again I'd likely side with Pearl AGAIN on Raphael (though Leonardo's a close call for me), glad to see I'll be on the donatello side for the second round. @BlueBlur101 I can't say I'm a fan of the style they are going with. I will forever be a fan of the 80's-90's original. The 2003 cartoon wasn't bad. I didn't watch any of the latest series and I certainly won't be watching this one. I've not been keeping up with the designs but this one I like because the turtles arent "clones" with different mask colors and a few scars to differentiate them like before. Mikey would win the bong ripping contest, but The Don would win the bong engineering contest. Raph and Leo are too busy being on opposite ends of the straight-edge-nerd spectrum.... Tough call on this one. @Turrican280 Yes loads online, probably more than ever. Only takes a few seconds to start a match. Splatoon 2 is well worth getting - it's a great game to spend hours on and then dip back into now and then. You won't regret it! @BlueBlur101 Agreed! 2k12 is DEFINITELY worth watching, though the last season, "Tales of the TMNT" arguably had more downs than ups. I never cared about the Ninja Turtles one bit, but these designs look really bad. Maybe a silly question, but are these the new TMNT designs?! Update: Looked it up on youtube, it looks AWFUL!! My head just exploded. I know this is she less marketing for the new serioes, but I would love more licensed Splatfests like this! @PigmaskFan I thought it was OK, but the other 4 (I think) seasons were really good, especially with the fanservice! I think the show deserved a more satisfying conclusion.